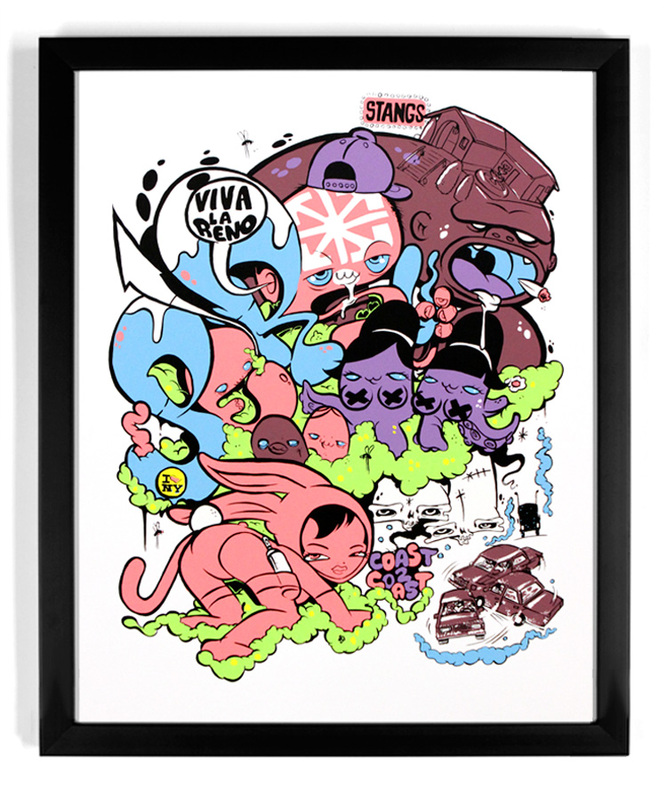 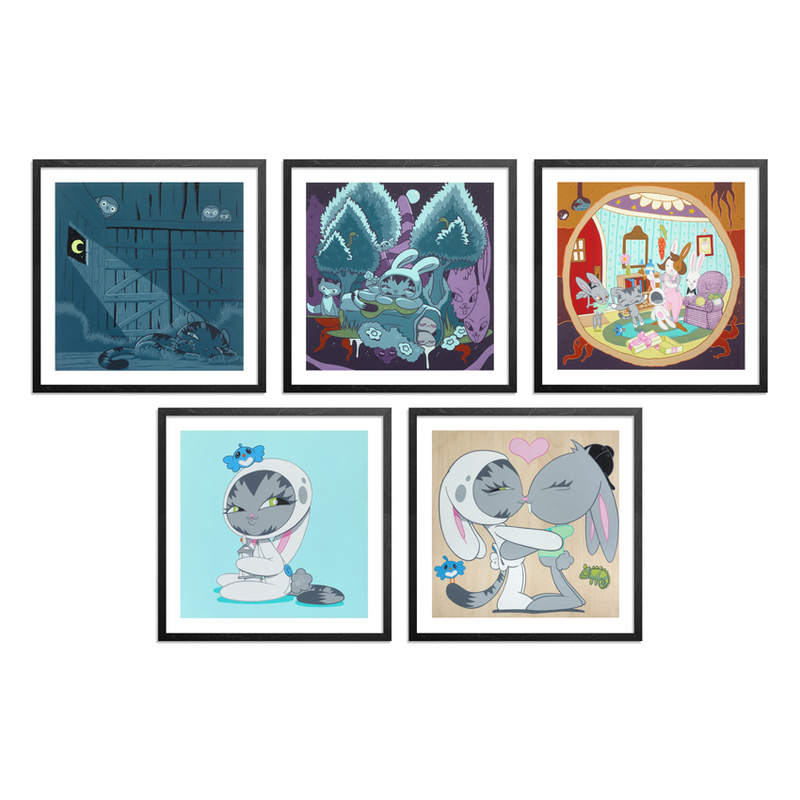 The framing option for this RUN includes five 1 inch black wood frames (one frame per print) with UV-glass, foam core backing and ready to hang hardware. 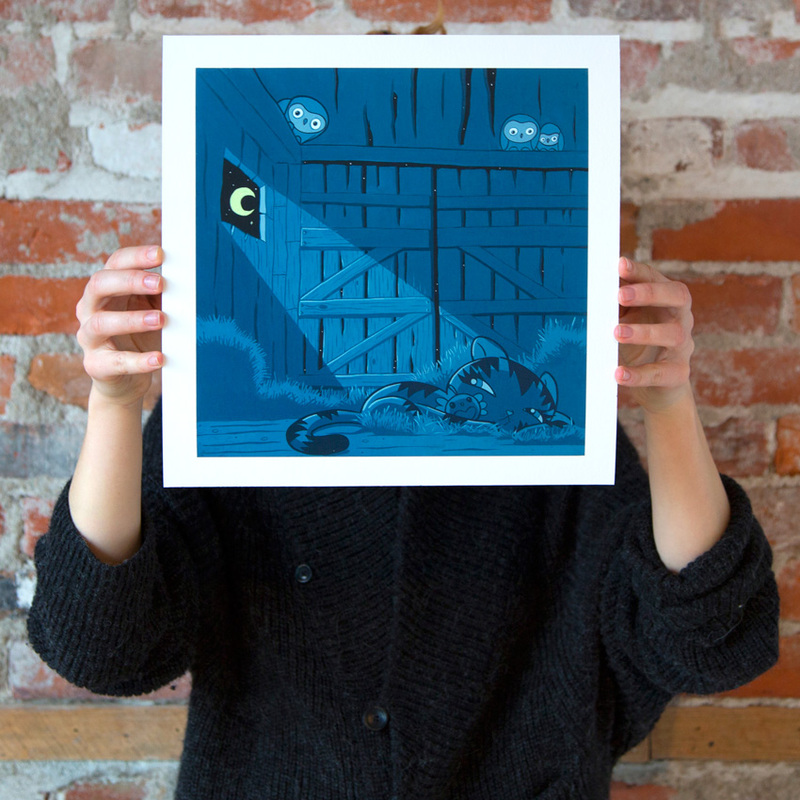 NOTE: Each print in this RUN is pulled from its original edition of 100. 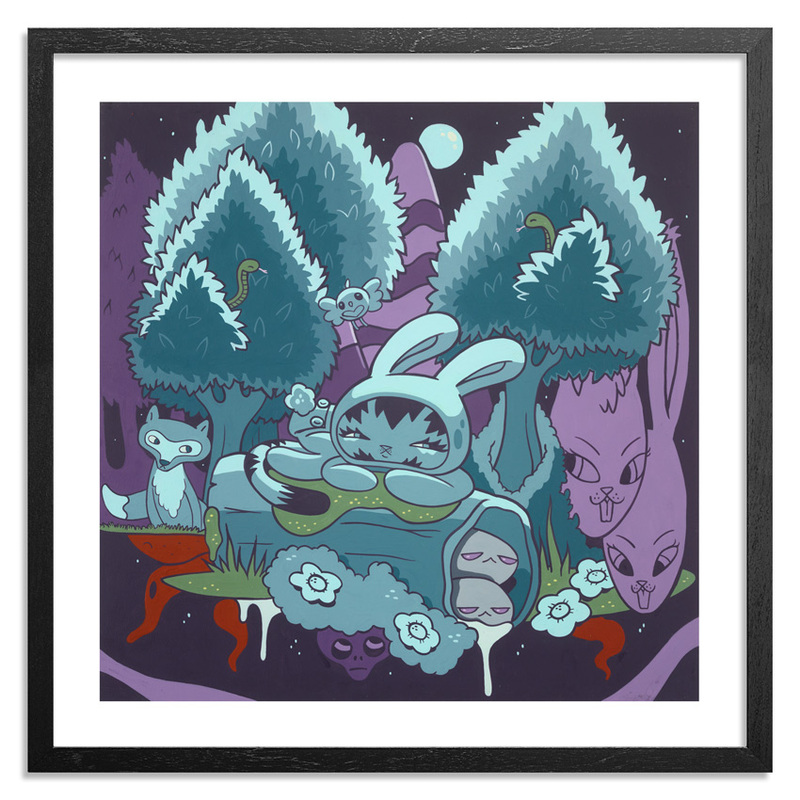 - (1) "Alone" 12x12 inch signed and numbered limited edition print. 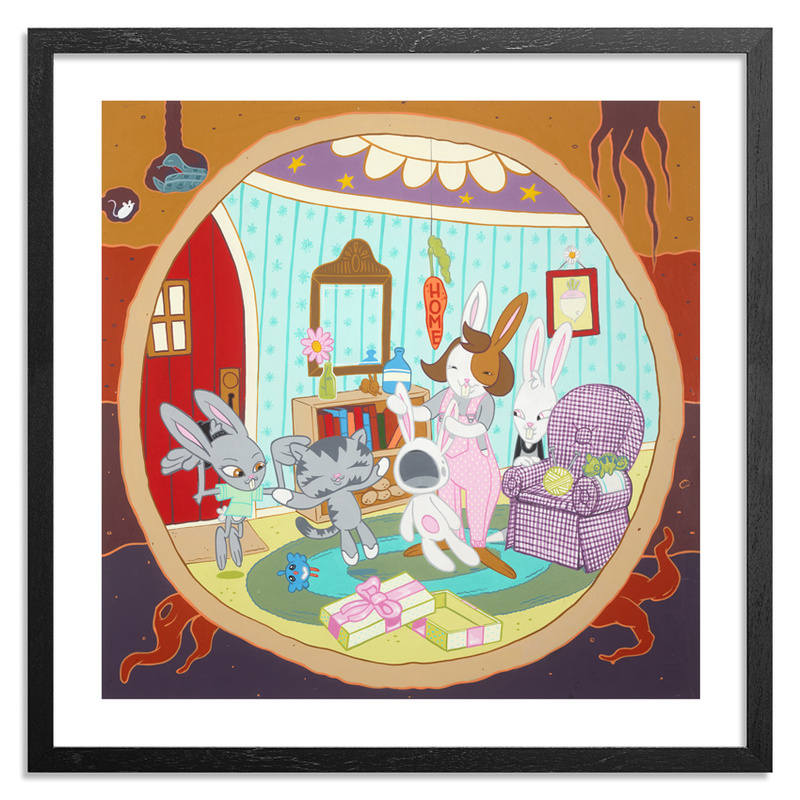 - (1) "Alone Again" 12x12 inch signed and numbered limited edition print. 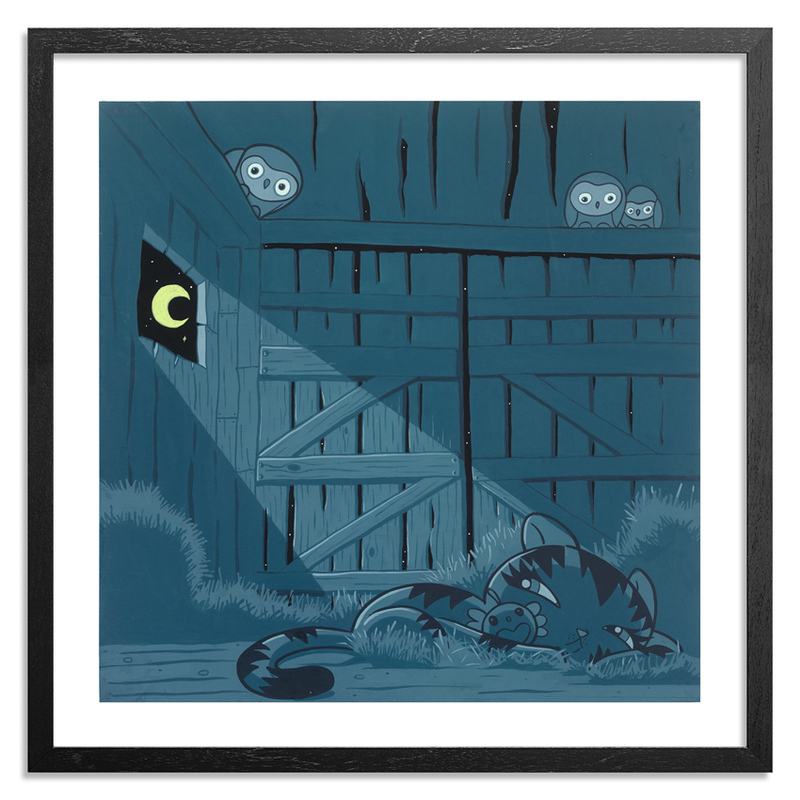 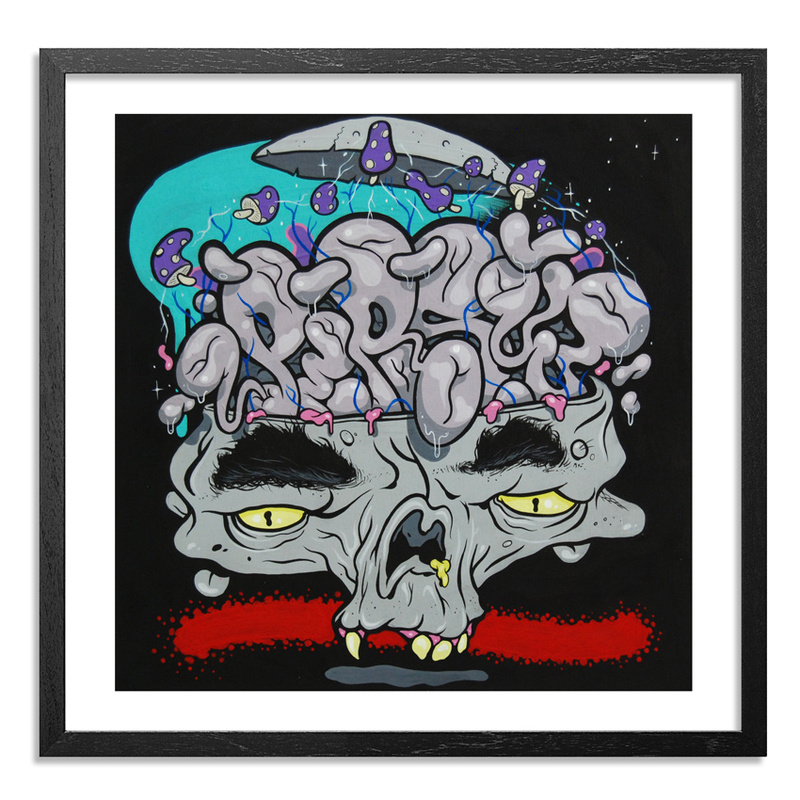 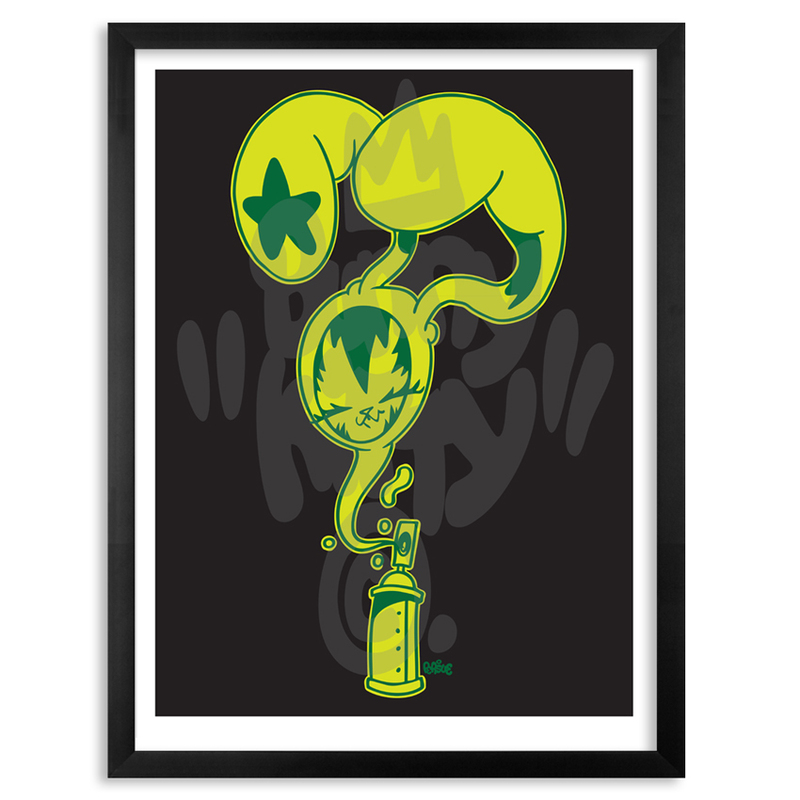 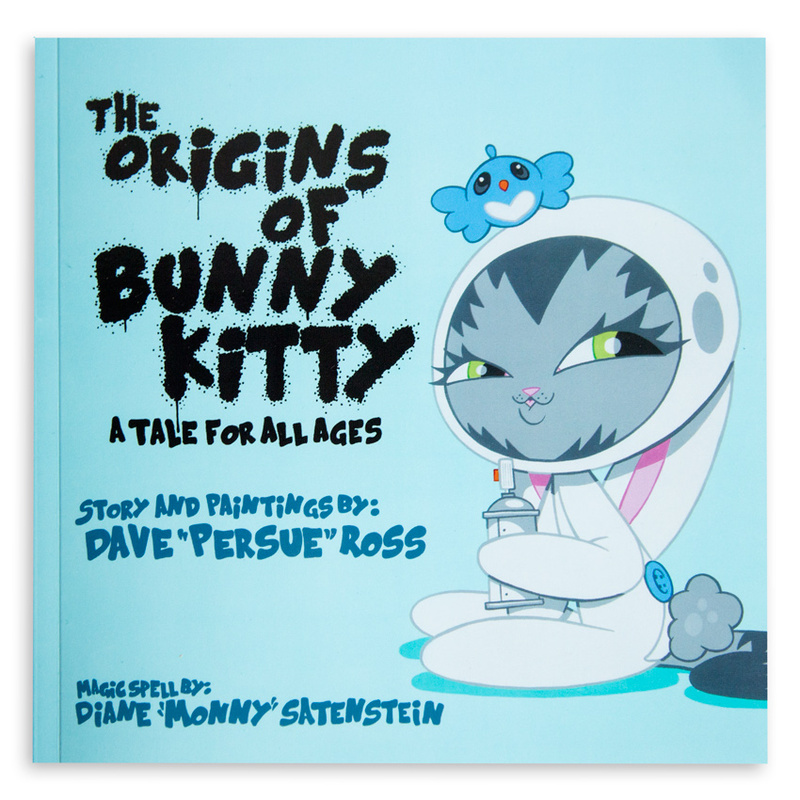 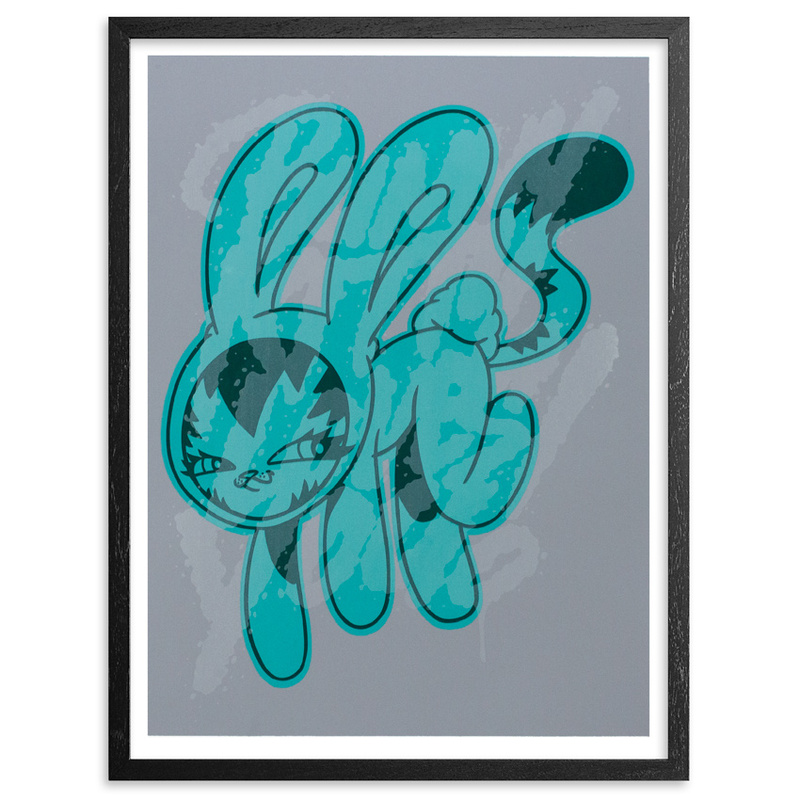 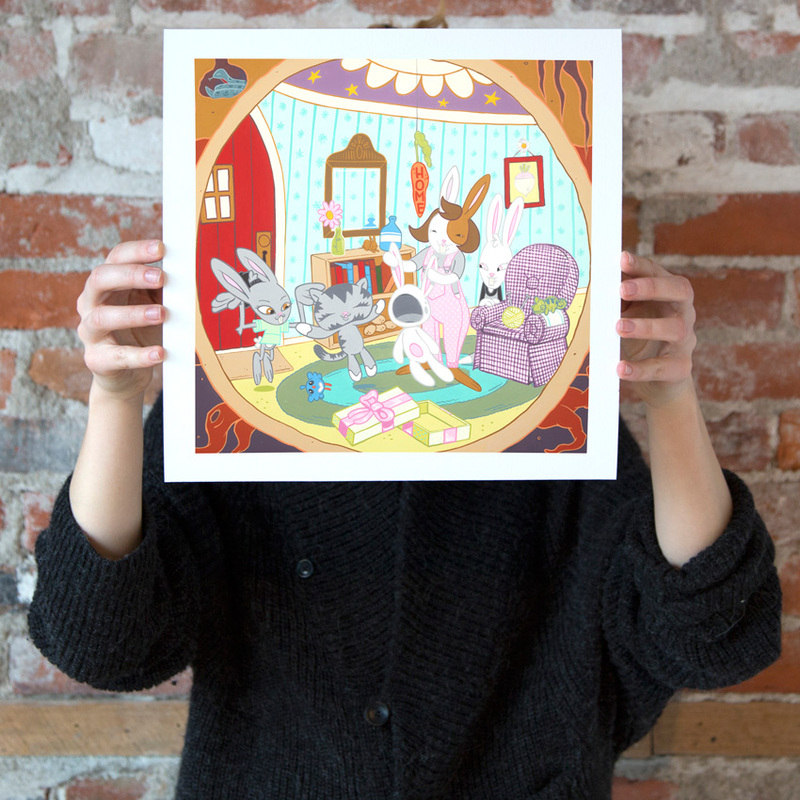 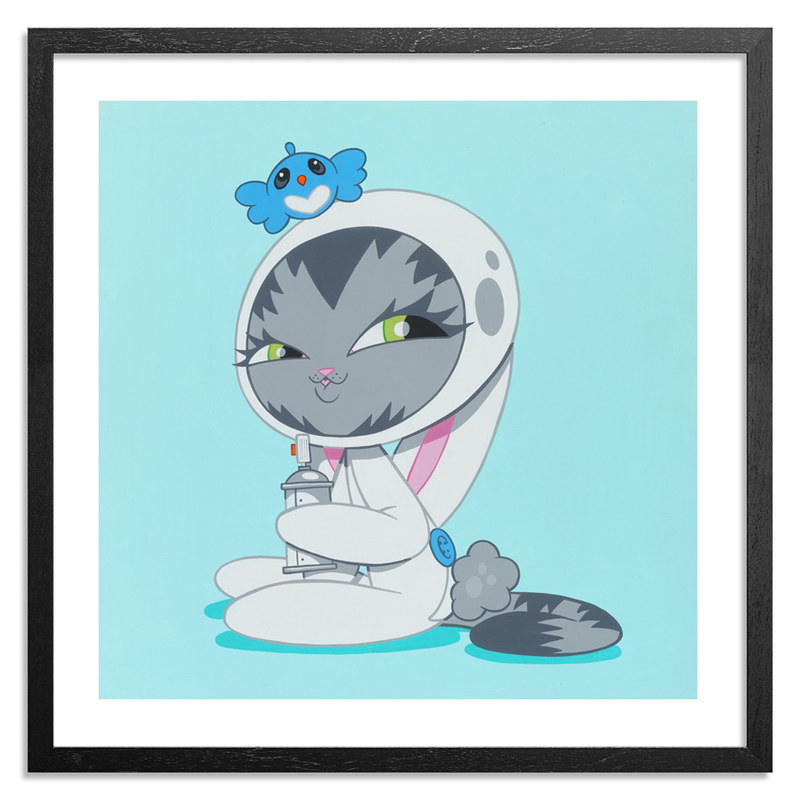 - (1) "Bunny Kitty" 12x12 inch signed and numbered limited edition print. 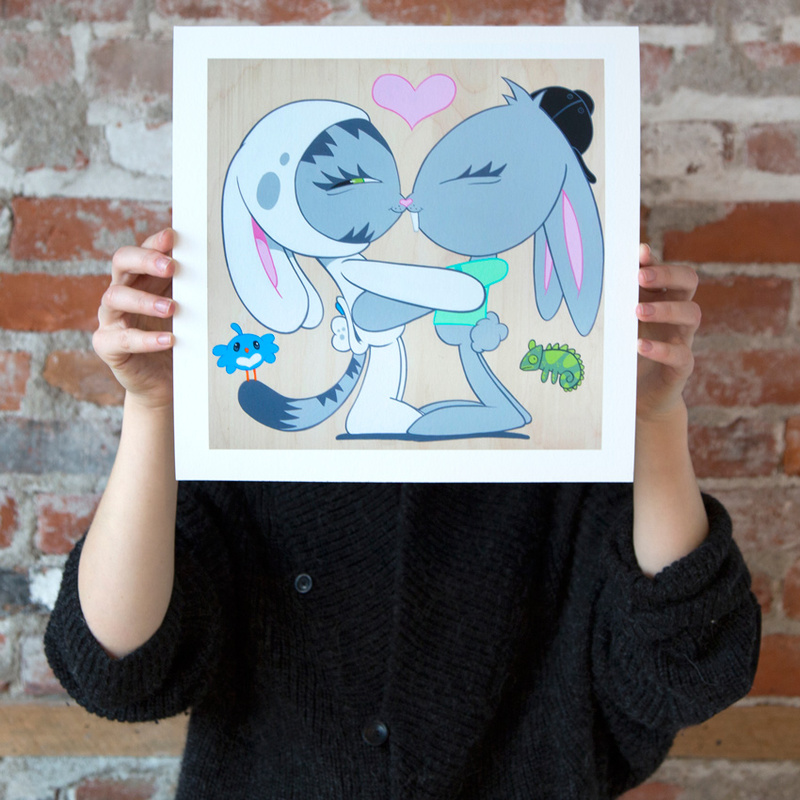 - (1) "Eskimo Kiss" 12x12 inch signed and numbered limited edition print. 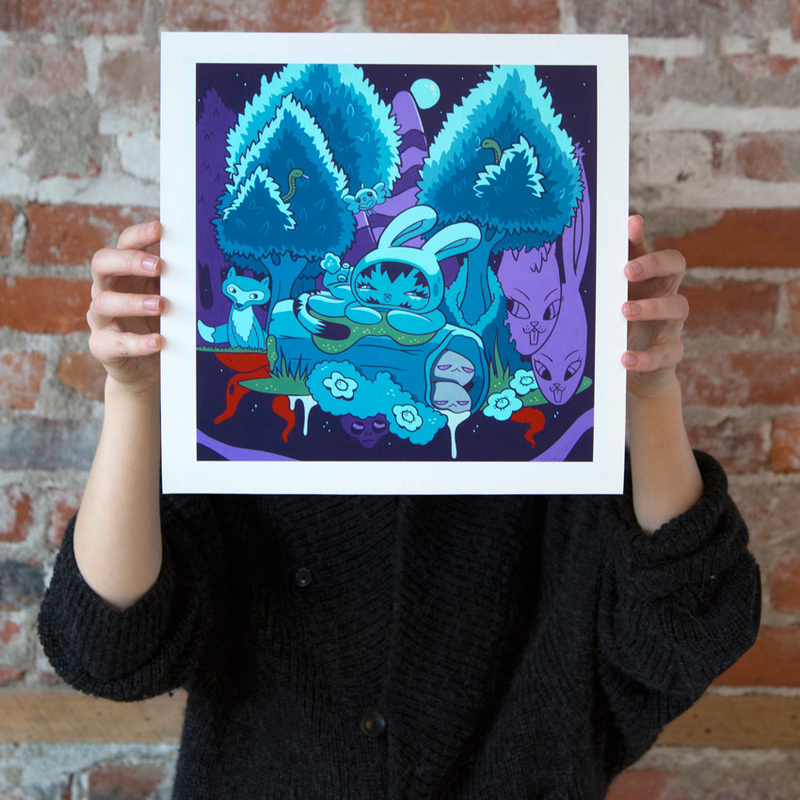 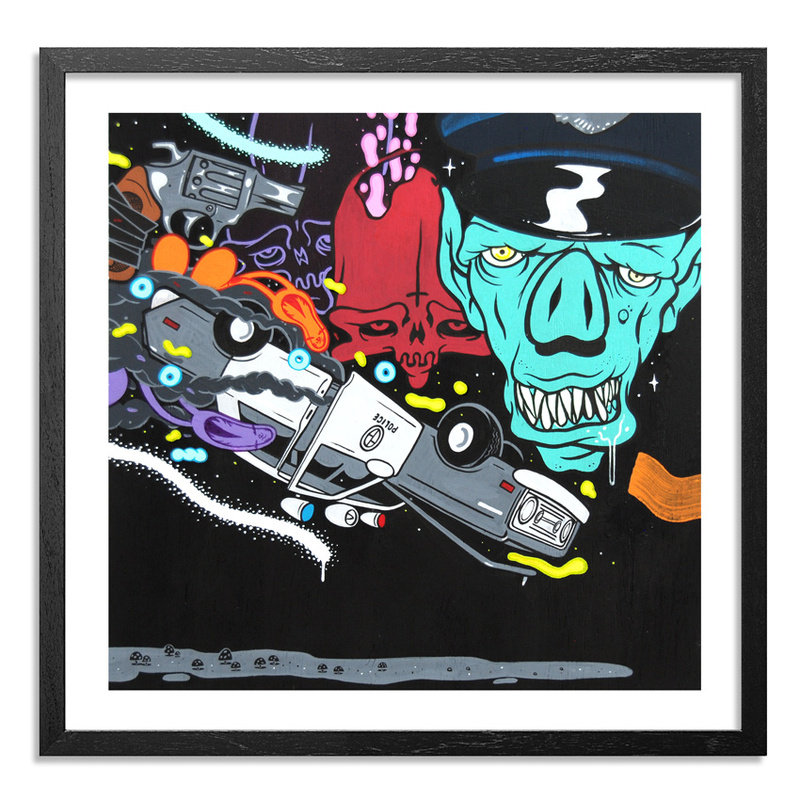 - (1) "The Special Gift" 12x12 inch signed and numbered limited edition print.